The Wayne Med-Direct program is focused on recruiting students from disadvantaged socioeconomic backgrounds, and selects participants through a holistic admission process with preference given to those interested in studying health disparities. 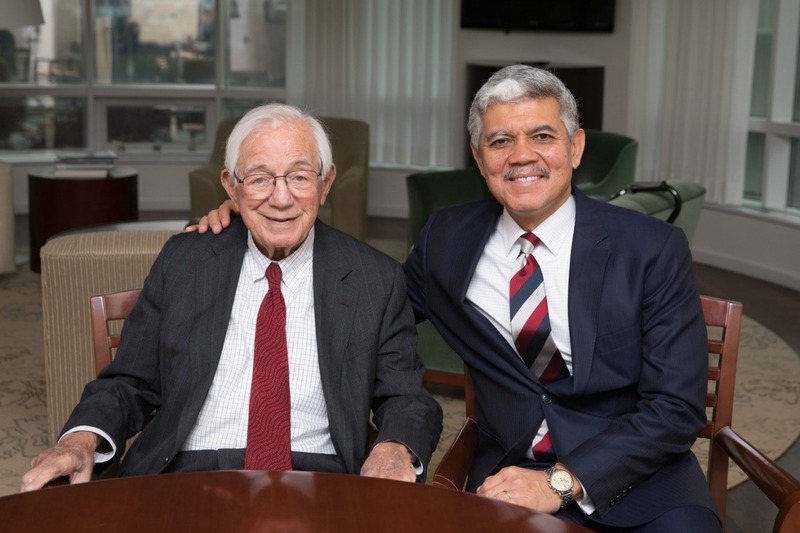 Entrepreneur and philanthropist Mort Harris has committed $10 million toward the highly competitive Wayne Med-Direct program at Wayne State University. The program recruits the very best high school students with a passion for addressing health disparities among our nation’s most vulnerable populations, simultaneously admitting them into an undergraduate program and Wayne State’s School of Medicine with full scholarships. The gift from Harris creates a fund that will provide permanent support for Wayne Med-Direct students. 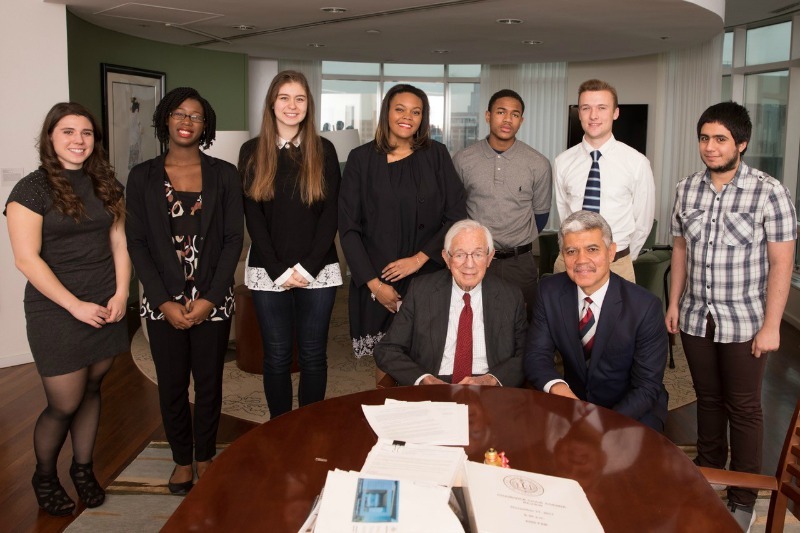 The students will be known as Mort Harris Med-Direct Scholars in recognition of his gift. Currently in its second year, Wayne Med-Direct accepted 10 highly qualified high school students from among 350 applicants, up from 270 applicants in the first year. The students are at the highest level of achievement, with GPAs at or near 4.0, and are recruited by the best universities in the country. The program is focused on recruiting students from disadvantaged socioeconomic backgrounds, and Wayne Med-Direct selects participants through a holistic admission process with preference given to those interested in studying health disparities. As undergraduates, Wayne Med-Direct students engage in cutting-edge research and field experiences with renowned faculty mentors. They attend summer enrichment courses, academic conferences, seminars, workshops and hands-on clinical training in the School of Medicine. The program’s first cohort finished their first undergraduate year with a cumulative GPA of 3.95. Harris’ gift will fuel the university’s commitment to eliminating health disparities, under the leadership of Wayne State University President M. Roy Wilson. Mort Harris (left) and Wayne State University President M. Roy Wilson. Harris has a long relationship with Wayne State. In 1939, he began taking engineering classes at what was then Wayne University. He left the university during World War II and became a highly decorated pilot in the U.S. Air Force, flying 33 successful missions over German-occupied territories. Earlier this month, Harris was inducted into the prestigious French Legion of Honor, the highest decoration bestowed in France, for risking his life in defense of liberty. Harris’ first wife and mother of his three children Edith also attended Wayne State University. She was a student in the Masters in Social Work program until her untimely death in 1968, just short of graduation. Mrs. Edith Harris was deeply committed to the social work profession, and the university awarded her a posthumous degree in 1984. After the war, Harris embarked on a successful business career in Detroit as a co-founder of American Axle & Manufacturing, Inc.
Harris has used his success to give back to the city, including a series of major philanthropic investments at Wayne State, now totaling more than $17 million. In 1970, he established the Edith Harris Memorial Scholarship in the School of Social Work, joining the Anthony Wayne Society, the university’s highest donor recognition group, as an inaugural member. Harris and his late wife, Brigitte, continued to support a lecture series in the School of Social Work and scholarships for students in the College of Engineering, along with the Damon J. Keith Collection at the Law School and numerous other university initiatives. In 2003, their generous support resulted in the Mort Harris Recreation and Fitness Center, located in the heart of Wayne State’s campus. In 2012, Mr. and Mrs. Harris established the Mort Harris Endowed Scholarship Fund in the School of Medicine and the Mort Harris Office for Adult Literacy Endowment Fund. Harris has supported numerous other community organizations, and in May 2011, Wayne State presented him with an honorary Doctor of Laws degree in recognition of his many contributions to society. The gift in support of Wayne Med-Direct, like every gift to every area of the university, is part of Wayne State’s $750 million Pivotal Moments fundraising campaign, which will end in 2018 in conjunction with the university’s 150th anniversary.